This is one of my weeks as canon-in-residence in Christ Church Cathedral, Dublin. 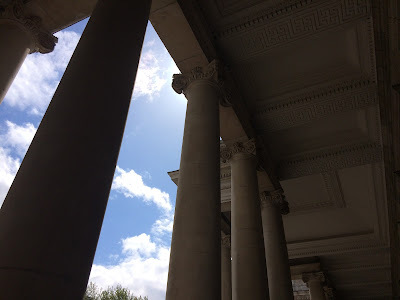 I preached at the Cathedral Eucharist on Sunday morning [24 May 2015], and I was in the Cathedral for Choral Evensong this evening, when I read the second reading (Romans 8: 1-8). This evening’s canticles, Magnificat and Nunc Dimittis were from the Collegium Regale setting by Herbert Howells (1892-1983). A major formative experience for Howells in his youth was the premiere in 1910 at the Gloucester Three Choirs Festival of Ralph Vaughan Williams’s Fantasia on a Theme of Thomas Tallis. Howells liked to relate in after years how Vaughan Williams sat next to him for the remainder of the concert and shared his score of Edward Elgar’s The Dream of Gerontius. Throughout his career, Howells was profoundly influenced by both Vaughan Williams and the Tudor composers, including. In August 1941, at the height of World War II, Howells was invited to become the acting organist of Saint John’s College, Cambridge. His association with Cambridge, which lasted until the end of the war in 1945, was a productive and happy period for Howells, and led directly to the works for which he is most remembered. Howells later recalled how he was challenged by the Dean of King’s College, Eric Milner-White, to write a set of canticles for the choir. The result was the Te Deum and Jubilate for the service known as Collegium Regale, performed in 1944. Howells followed this the following year with the Magnificat and Nunc Dimittis that were sung exquisitely by the cathedral choir in Christ Church this evening. Earlier in the afternoon, I brought seven visitors to Christ Church Cathedral. 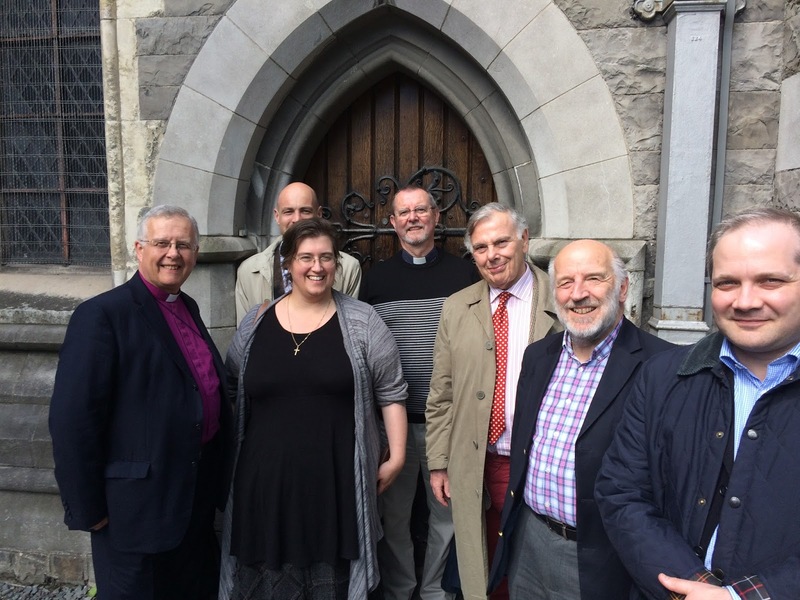 They were among the delegates who had been in the Church of Ireland Theological Institute this week for the Four Nations Faith and Order Consultation. The visitors to Christ Church Cathedral this afternoon were Bishop Donald Allister of Peterborough; Canon Gwynn ap Gwilym, the Revd Matthew Hill and the Revd Dr Rhiannon Johnson of the Church in Wales; Bishop David Chillingworth, Primus of the Scottish Episcopal Church, and Canon John Lindsay and Dr John Davies of the Scottish Episcopal Church. We also visited Dublin Castle, the Chapel Royal, City Hall, the former House of Lords and House of Commons in the Bank of Ireland, College Green, and the Library in Trinity College Dublin, where we saw the Book of Kells and the Book of Durrow. From TCD, we strolled up Kildare Street to see Leinster House (Parliament), down through Grafton Street and the buskers, by the Molly Malone Statue on the corner of Suffolk Street and Saint Andrew Street, and then through Temple Bar, stopping for coffee before returning to Christ Church Cathedral. It certainly was a very different but interesting day in the week of a canon-in-residence.